All non-Canon products are eligible to be leased at standard rates when at least one Canon product is included on the lease. Canon ITCG, in partnership with Canon Financial Services, Inc. (CFS), is offering 0% financing for 36 month leases on select cameras and lenses for the 1st Quarter of 2019. 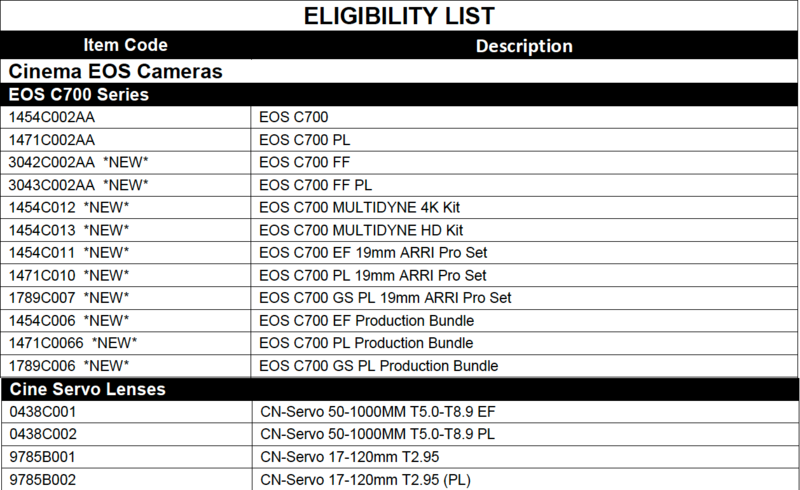 All Canon Cameras, Canon Lenses and Canon Accessories are eligible for 0% financing when at least one model featured on the below "Eligibility List" is included on the lease (Please see the below list for eligible models). For more questions and help regarding this financial program, feel free to contact us.